Welcome to ZAQ Audio, home of the Zaquencer. For all recent news regarding the Zaquencer, please find us on Facebook. effectively turning it into a whole different device. No PC is needed for operation (only for initial upload)! Make sure you check out all the details at the product page of the Zaquencer. It is OUT NOW! Please see the free Demo download or visit the Shop if you want to obtain a Zaquencer Firmware. Registration with the ZAQ Audio Site will take part as the last step of the order process. Or you can register using the link in the right menu bar. 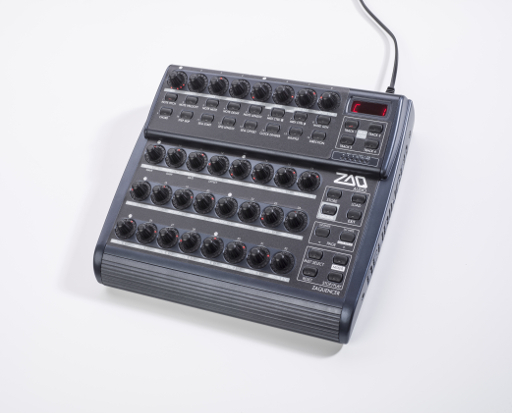 Registered customers can authorize their Zaquencer Firmware and post to the forum on the ZAQ Audio site. Also, feel free to sign up to the newsletter and we´ll keep you up-to-date on what´s happening.